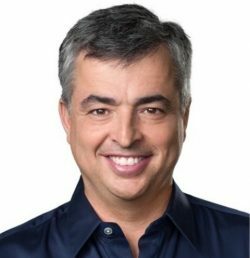 Apple iTunes Chief Eddy Cue will attend the Pollstar Live! 2018 Conference where he will sit down for a QA session with Variety Executive Music Editor Shirley Halperin, Variety reported today. Cue's official title is vice president of Internet Software and Services, and he oversees both iTunes and Apple Music along with Apple Pay, Maps, iCloud services, Apple's video efforts, and more. "Eddy Cue and his team at Apple have changed the way we listen to music, played a transformative role in artist discovery, and ignited the passion of music fans," said Ray Waddell, president, Media & Conferences, for Oak View Group, producers of Pollstar Live! "We are thrilled to have him address the attendees at Pollstar Live! and can't wait to hear what he has to say." Other speakers at Pollstar Live! 2018 include William J. Bratton, Troy Carter, Coolio, Mark Cuban, Marc Geiger, Michael Rapino, Alan Krueger, James E. Meyer, Roger Lynch, and more. The Q&A session, entitled Apple and the Music Business, will take place on the morning of February 7, 2018 at the InterContinental hotel in Downtown Los Angeles. Pollstar Live! is a three day event that starts on February 6. Congratulations for leading development on the worst piece of software with this level of market saturation! Most people only launch it by accident. At first glance I thought he’d resigned. Question: how is it you earn 9 figures from Apple when you don’t seem to be able to distinguish your rear end from your elbow? That would make too much sense. Spaceship Apple doesn’t seem to embrace reality these days does it. Eddy is Steve's natural successor. A visionary and very charasmatic guy. Apple is lucky to have him so step aside, Tim! So great to have the opportunity to talk to you! How do you keep your job? I mean really, seriously, how???? Eddy needs to go! His mishandling of the 4th gen Apple TV alone is justification for showing him the door!